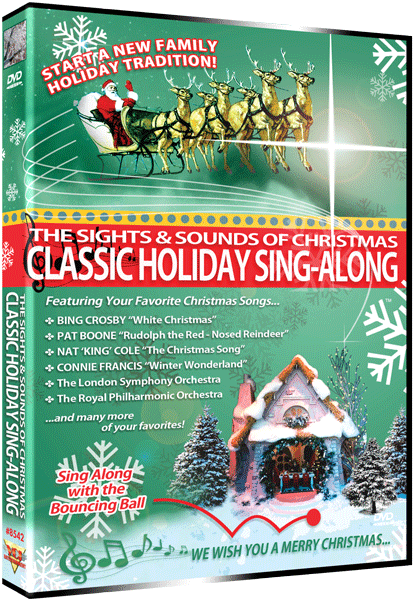 Sing along with the bouncing ball to 18 of your favorite Christmas songs and carols, enriched with a spectacular backdrop of joyous holiday scenes to cheer and warm the heart! 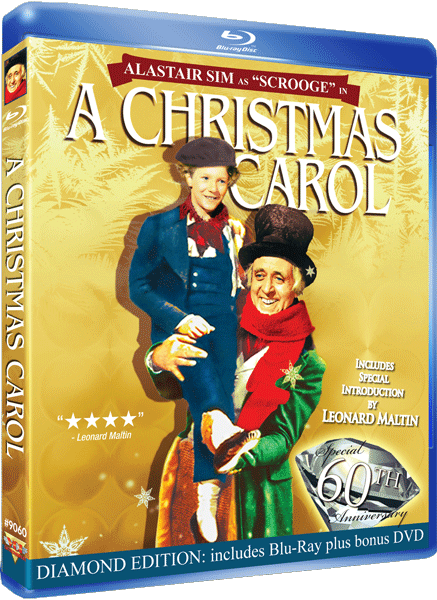 Alastair Sim’s tour-de-force performance as the ultimate miser, Ebenezer Scrooge, has almost single-handedly made this beloved version of Charles Dickens’ story into one of the best-loved Christmas films of all time. Some of Britain’s best filmmakers united behind Sim, who was joined by a delightful cast of accomplished and acclaimed English actors; creating what many today believe to be the best and most faithful production of Dickens’ immortal tale. Cranky and curmudgeonly Scrooge learns the error of his unkind ways and is taught the true meaning of the holidays when he is visited by the ghost of his late business partner and the spirits of Christmas past, present and future. This Blu-ray edition has been digitally restored from a new 1080p, 24fps high definition transfer master produced from the 35mm negative and fine grain. Can a carefree bachelor find peace and happiness when stuck with an oversized canine misfit who has a bad case of acrophobia, is afraid of cats, overturns tables, knocks down waiters, sulks in the bathtub, and is starved for affection? Everyone seems to like the situation but the bachelor – who is trying to rekindle a romance with an old flame – but good ol’ George, keeps getting in the way, making for a highly laughable comedy. 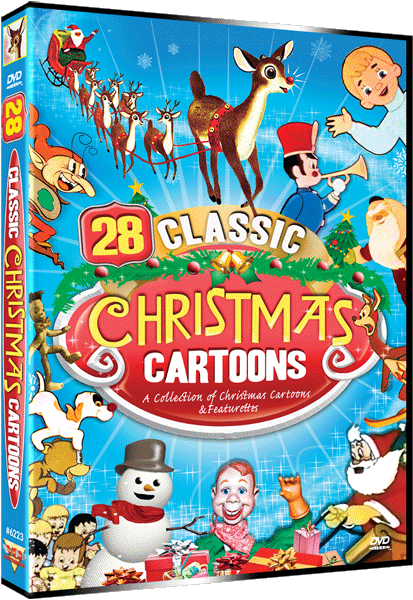 Nearly 4-hours of entertainment is packed into this special DVD — a delightful collection of 27 classic cartoons and live-action programs, all with traditional holiday themes and chock full of good Christmas cheer! This heart-warming DVD is sure to become part of your family’s Yuletide tradition. A CHRISTMAS CARO (B&W/1951/Live) A select scene from the film! CHRISTMAS COMES BUT ONCE A YEAR (Color/1936/Cartoon) Fleischer Studios! RUDOLPH THE RED-NOSED REINDEER (Color/1948/Cartoon) Max Fleischer! SOMEWHERE IN DREAMLAND (Color/1936/Cartoon) Max Fleischer! 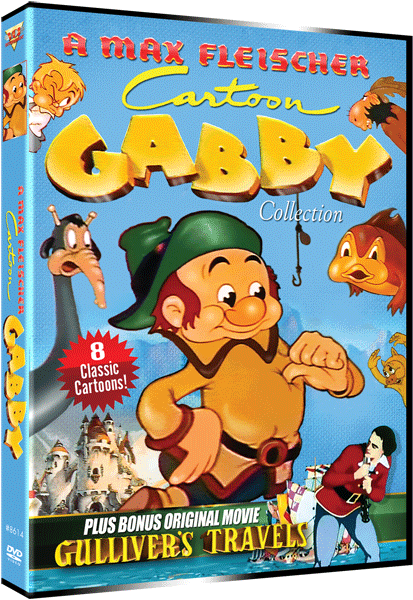 Gabby was a Max Fleischer animated cartoon series distributed through Paramount Pictures. Gabby debuted as the town crier in the 1939 animated feature Gulliver’s Travels produced by Fleischer. 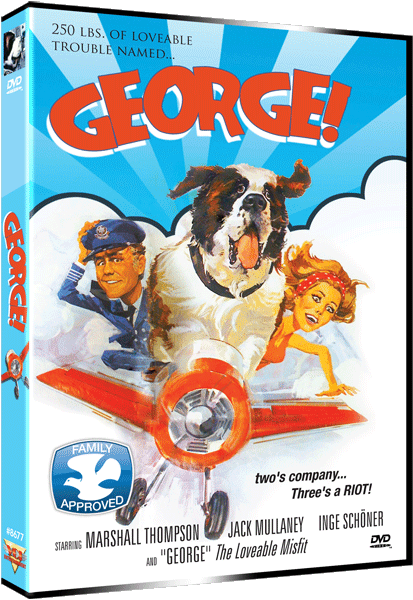 Shortly afterward Paramount and Fleischer saw fit to give Gabby his own Technicolor cartoon series, eight entries of which were produced between 1940 and 1941. Gabby was voiced by Pinto Colvig, the voice of Walt Disney’s Goofy, and Grumpy and Sleepy from Snow White and the Seven Dwarfs.